Bahrain, the 3rd July 1934. 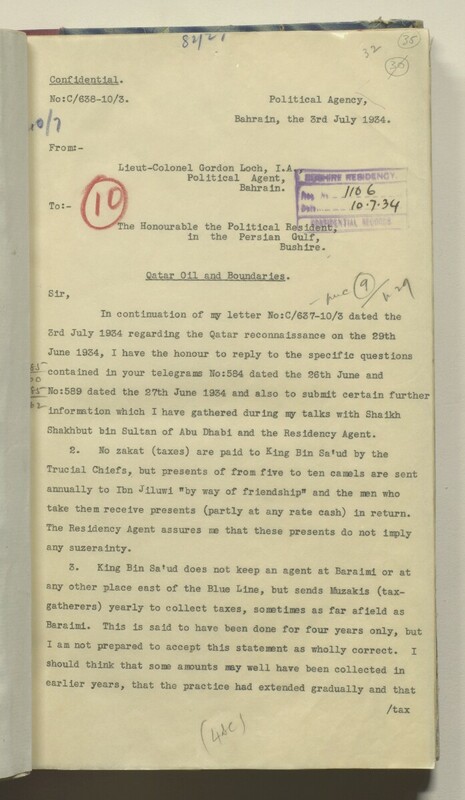 Shakhbut bin Sultan of Abu Dhabi and the Residency A diplomatic office of the British Government established in the provinces and regions considered part of, or under the influence of, British India. Agent. take them receive presents (partly at any rate cash) in return.